The screen acts as one of the significant part of the laptop which helps the system to communicate with us visually. The negative part of the LCD is that it is the most fragile part of the laptop and even a crack would spoil the entire part. Accidents are unpreventable and the part that is first affected is the LCD screen of the Laptop. When the LCD screen cracks the only option to get it fixed is to replace the LCD screen. It's not the same every time, When the LCD screen goes blank, and replacing the LCD screen may not be the only option unless and until it's not cracked. 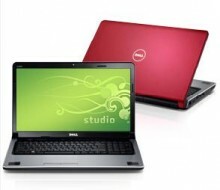 Innovative IT, a London based laptop repair company offers dell studio laptop screen replacement and repairs at a very low and competitive price. With their extensive stocks on dell original spare parts, they get your laptops fixed in an hour's time, so you can get back the laptop in an hour from the time you bring them in. If you feel inconvenient to bring your laptop in person to our workshop, you can always opt for our pickup and delivery services. Call us now at 020 7394 2525 or mail us at info@computerrepairsinlondon.co.uk to get a quote or you can have a chat with our friendly customer care executives through the pop up you see on this website.